An ideal mower for small, private lawns, the Yard Machines 13A326JC700 compensates for its miniature size through reliable performance and affordability. 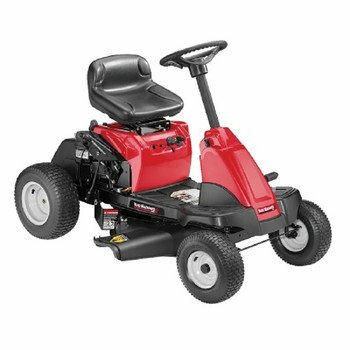 Equipped with an industry-standard Briggs and Stratton engine, you can be confident in the mower’s ability to last many seasons to come. Although it does not come with any fancy bells and whistles, it will get the job done properly and consistently with little required maintenance. In fact, we found very few weak points in this mowers structural integrity, and we believe it is one of the better built mowers available today. Don’t let the price fool you, this basic mower packs all the essentials in a small, convenient package. 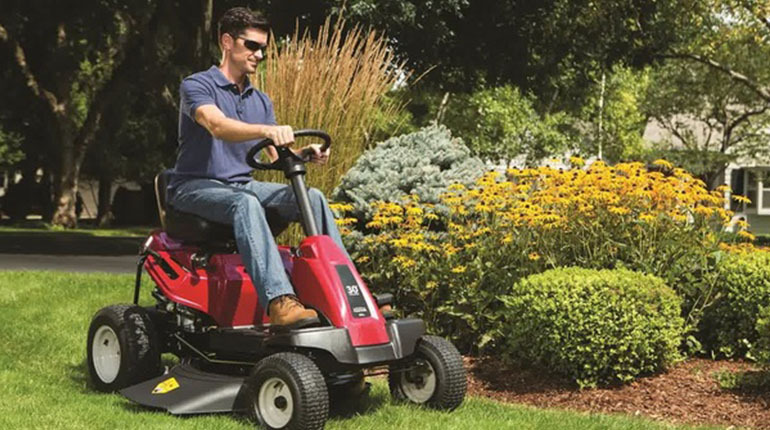 Considering the Yard Machines 13A326JC700 is an entry-level riding mower, it completes its task of cutting grass with consistency and reliability. Unfortunately the low price also means some important features had to be left out. For example, this mower is incapable of mowing in reverse which can be frustrating at times. Missing a spot forces the driver to turn around and re-mow the area rather than simply reversing over it. The transmission is also jerkier than most manuals and immensely more difficult to perfect compared to an automatic or hydrostatic transmission. 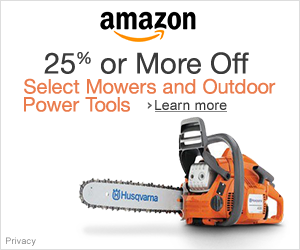 The 24” steel cutting deck can be seen as both an advantage and a disadvantage. It’s good because a small cutting deck automatically equates to a smaller size, and a small size means easy storage and tighter turning capabilities. Maneuvering around corners and getting close to the edge is also made possible by its size. Unfortunately, the narrow cutting path also means mowing will take longer than a larger blade would. Overall, the Yard Machines 13A326JC700 is a great choice for beginners with a yard size around an acre or less, but truthfully speaking, we would recommend the Troy-Bilt TB30R for this type of job. Not only is it less expensive, but it also features a bigger cutting deck and other valuable features.